Starting in 2018, we won’d see these signs out at the Disneyland Resort. The announcement came on Wednesday afternoon through the Disney Parks Blog, The Orange County Register, and others such as Mouse Planet. The official reason cited for the cancellations is the ongoing construction projects going on at Disney such as Star Wars: At Galaxy’s Edge (FKA Star Wars Land), the upcoming Disneyland Eastern Gateway project, and 4 Star Hotel. 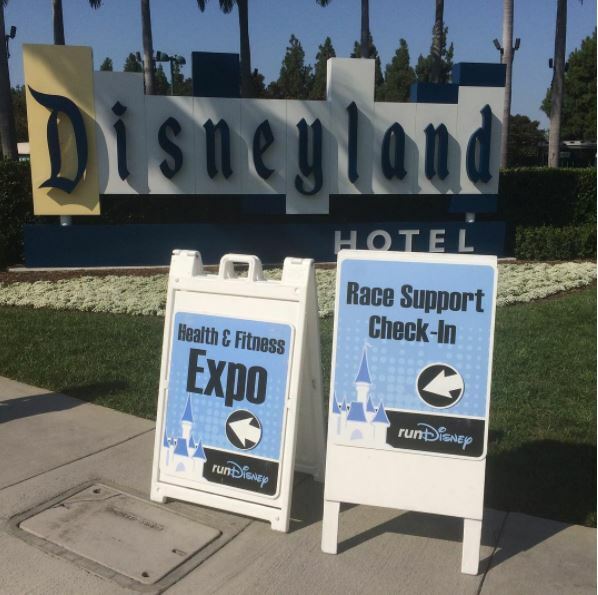 Along with the races that had been held at Disneyland being cancelled, the Coast to Coast Challenge and Kessel Run Challenge are also on hiatus. According to the releases, there is no word on when races might return to Disneyland (if at all). Will this be the last runDisney medal I get to earn? Time will tell. The only thing for certain is…. 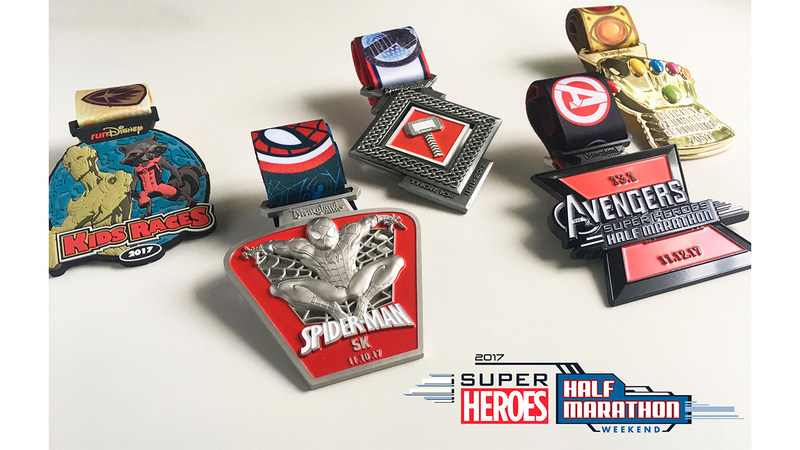 that these medals are the last ones on the runDisney schedule to be handed out at the Disneyland Resort. 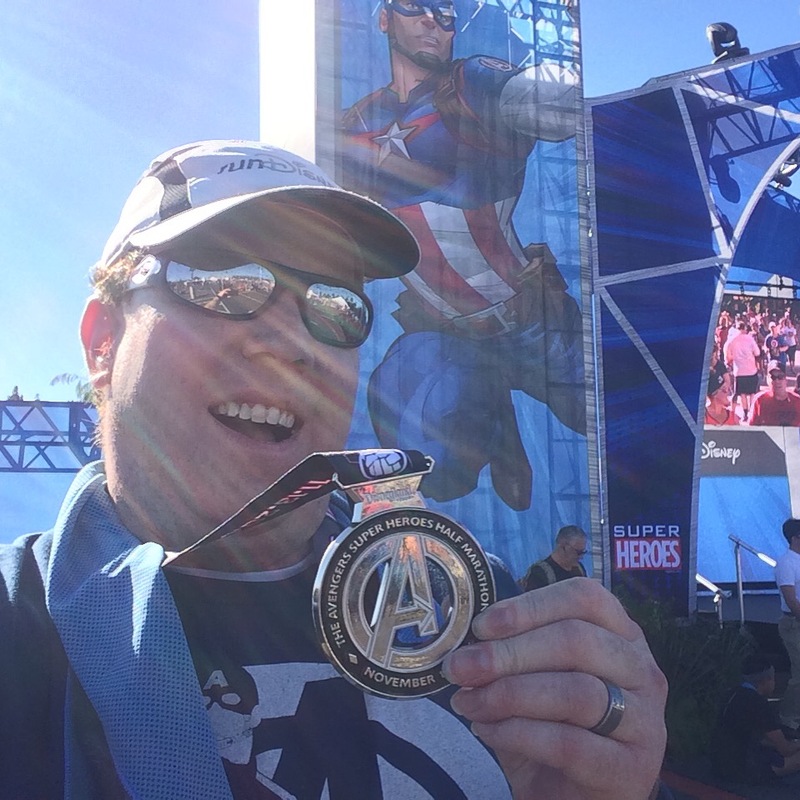 It was almost a year ago that I earned my 3rd Avengers Super Heroes Half Marathon medal. I was perfect at that race. 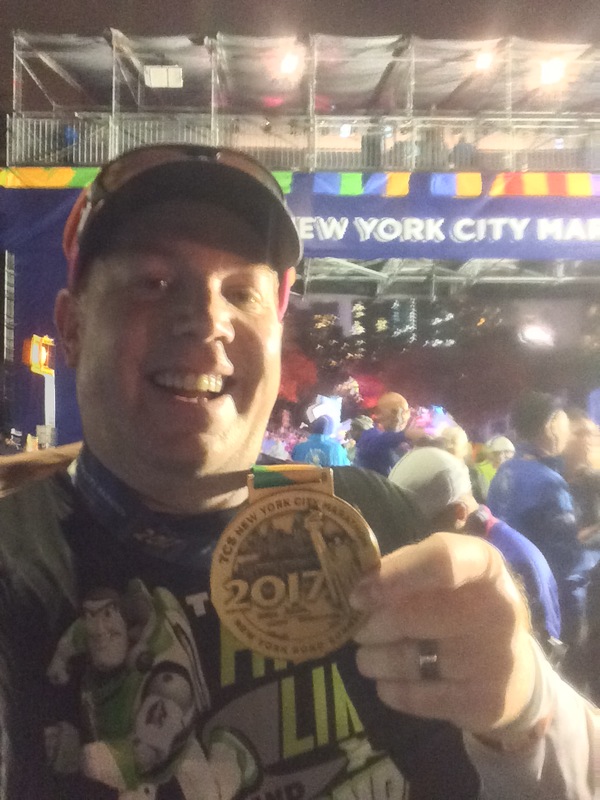 However, knowing that I would be running the NYC Marathon in 2017, I knew that I wouldn’t get to legacy status because I wouldn’t be running that race this year. 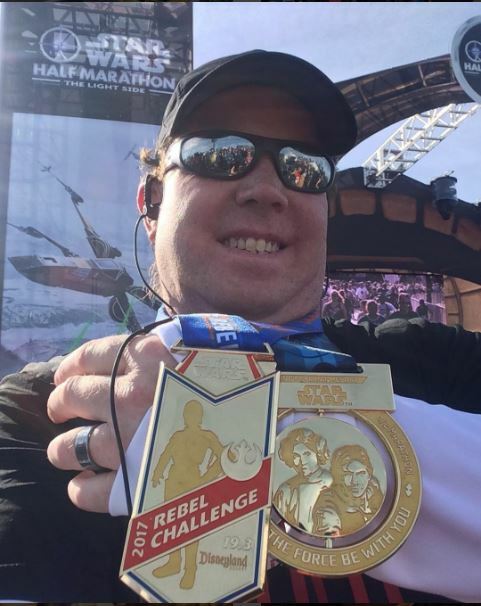 However, I had hoped to not only be perfect at running the Rebel Challenge, but make that my annual runDisney race. I had hoped that every year, I could watch Colton advance through the kids races at the Star Wars Half Marathon Weekend. 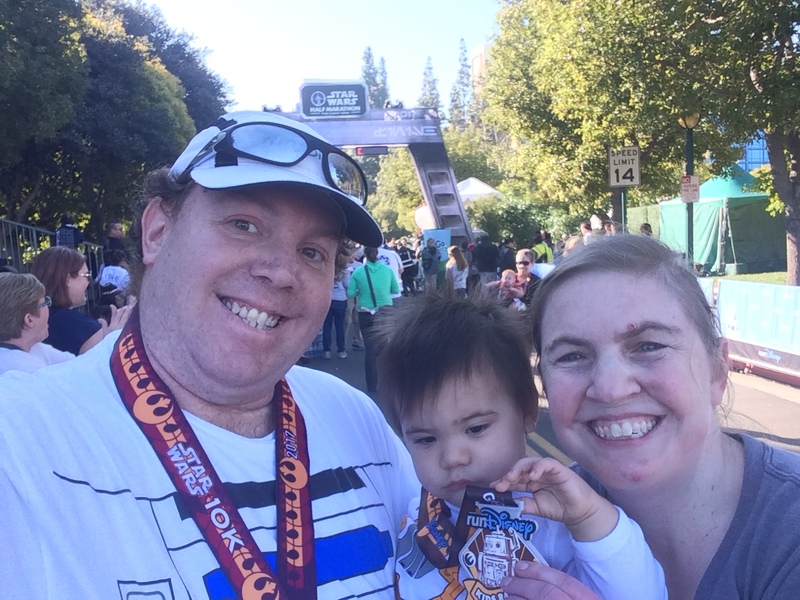 Now, I don’t know if there will even be another Star Wars Half Marathon Weekend at Disneyland. If so, will they bridge the gap of the hiatus and allow those of who ran the first three years to become legacy runners when we run the next two (whenever those will be)? Lots of questions abound that won’t find an answer until runDisney makes the announcement that they are resuming races at Disneyland. As I’ve neared the end of my race preparations for the NYC Marathon, I’ve started thinking about what I was going to do after New York. In a way, this news is going to help me stay true to what I’ve got planned. I want to do a longer blog post about my future running plans because I have a big dream to chase down once my NYC Marathon is over. Part of that involves me starting my running journey all over. I am not planning on running any races longer than a 10K in 2018. It’s all part of a plan to build a stronger running base and focus on loosing weight. I am planning on going into this plan in more detail after the NYC Marathon. However, the first step in my plans for 2018 and beyond are to work my way to running a 5K without stopping for any walk breaks. Yep. This Galloway run/walk/runner wants to finish a 5K race without any walk breaks. So, I’m going back to what most runners start off with….a couch to 5K plan and move my way on from there. Do you want a sneak at my next big goal in my running life??? 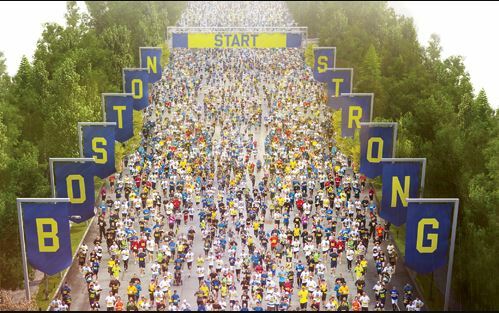 I want to qualify for and run the Boston Marathon. This plan I’m going to start in 2018 will take several years to complete. I’m still working it all out. But, for 2018, I don’t see myself accomplishing what I need to accomplish before I’m ready to take on another half marathon. I’ll go into my thoughts and plans in a blog post after the NYC Marathon. 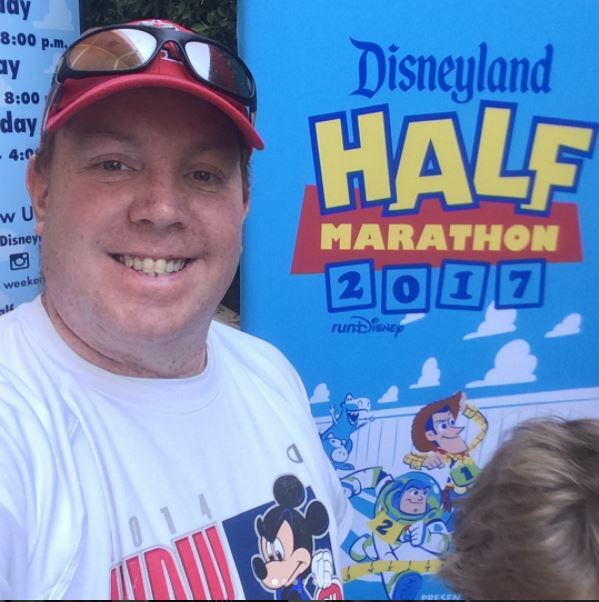 So, runDisney cancelling their 2018 races helps me out by keeping the temptation to run a half marathon before I should to reach my goal of qualifying for the Boston Marathon. If I ever want to get to the place where I could legitimately think about running a BQ time, I need to take at least a year to build a solid running base and focus on weight loss. 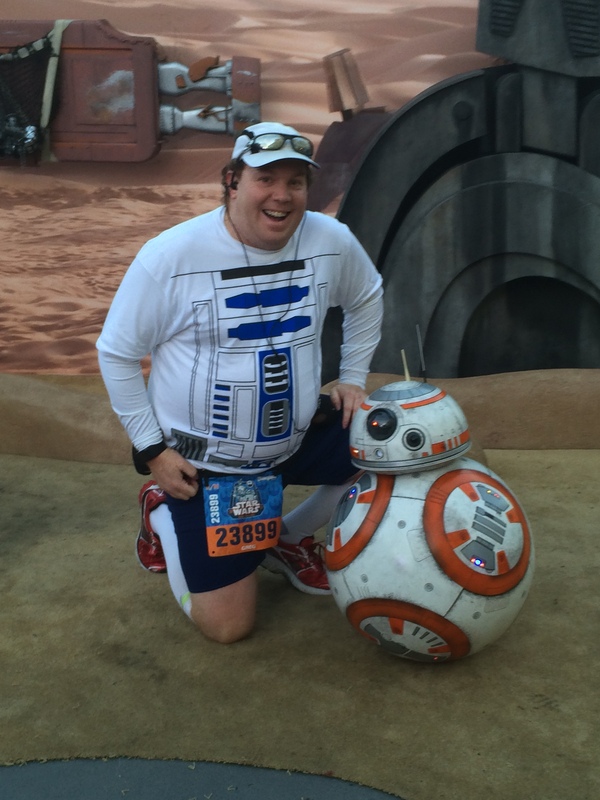 Sure, I will miss getting to run the Star Wars Half Marathon at Disneyland this January. But, it’s actually a good thing for my running future that this temptation is not going to be there…. Nor will this race be a temptation…. And not this race either. I am free to carry out this plan of mine and, hopefully, come out the other side a better runner for it. It’s truly bittersweet for me. As I said, its good that these runDisney half marathon temptations will be taken away from me so I can pursue this crazy huge goal of mine. But, I will also miss the races as well. 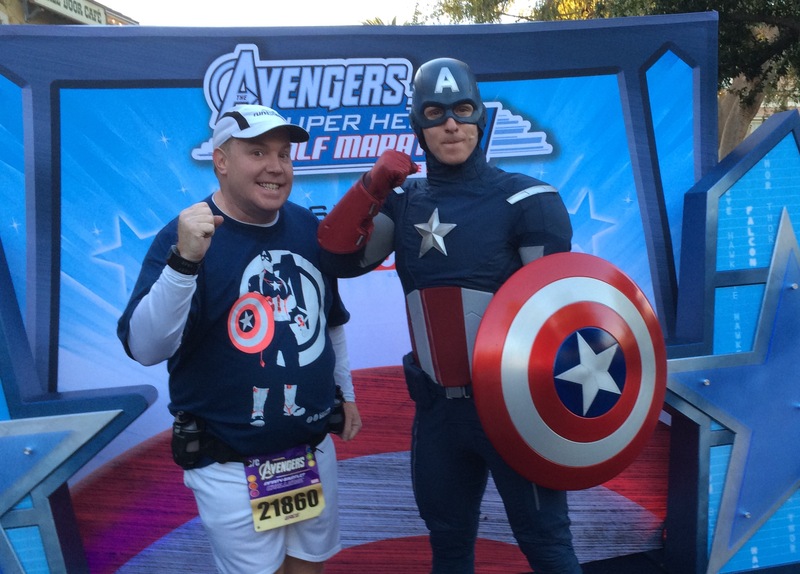 I’m pretty connected to the runDisney community. 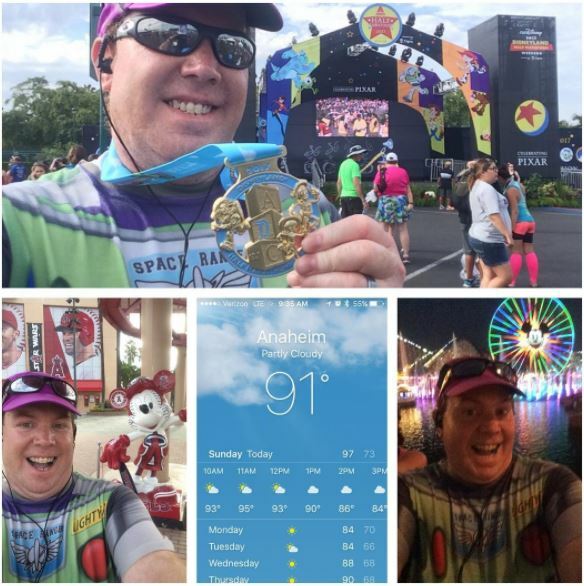 So, I will get to watch from afar as friends of mine run The Walt Disney World Marathon Weekend, Princess Half Marathon Weekend, Star Wars Dark Side Half Marathon Weekend, Disneyland Paris Half Marathon Weekend, and the Wine and Dine Half Marathon Weekend in 2018. I will wish I was out with them. All the while knowing that I simply don’t have the money to fly out to Florida nor Paris next year. 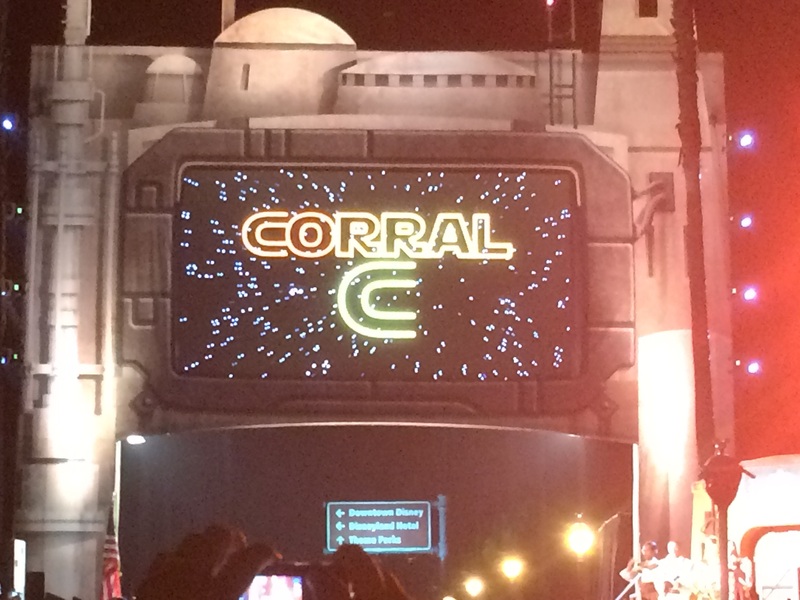 If all goes well, when runDisney comes back to Disneyland, I will be a Corral C, B, or A runner! 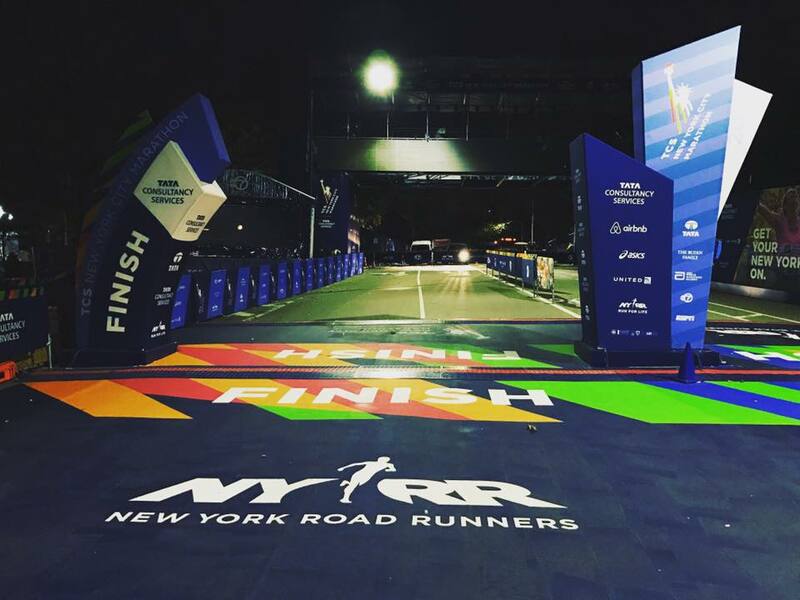 Less than 3 Weeks Until the NYC Marathon! I find it interesting how circumstances often support our long range plans and really admire how you have a vision for the future. I look forward to following your progress along your journey. My thought was “random half marathons at Disneyland” won’t get in the way of my desire to earn a “Mickey Medal” I was thinking 2019 but current circumstances are suggesting that 2020 might be more realistic. I am holding onto the word “hiatus” that was used in the announcement. There are several Disneyland medals on my bucket list – I am not going to revise that list yet. As you can imagine, I knew this was coming but I’m still bummed about it. I have been pretty melancholy over the last few days but I have very few regrets (right now my one regret is not doing Avengers to Vegas and not doing the Star Wars 5k after I did Dopey) but so glad for the memories I have made (getting to run with my family this year after my graduation for the Neverland 5k is way up there as is doing the inaugural Dopey/ Rebel) along the way will be what I focus on. Not being able to run the DL Half, which was my first half marathon, is a huge bummer. What will I do for MLK and Labor Day now? I personally believe the races aren’t ever coming back but hope eventually they do. As for your BQ goals, love it! My big goal for 2018 is to get back into fitness and keep working towards a BQ as well.